Christ taught that we would be known by our fruits. Matthew 7:15 “Beware of false prophets, which come to you in sheep’s clothing, but inwardly they are ravening wolves.” Verse 16: “Ye shall know them by their fruits. Do men gather grapes of thorns, or figs of thistles?” Keeping in mind what we learned yesterday of the analogy of our doings as fruits. What is being explained is that you have teachers that pretend to be “sheep”. They seem as harmless Israelites that follow Christ. However they are ravenous wolves meaning intensely eager for gratification thus they devour the souls of our people. A perfect example is from a known Israelite group that sells merchandise with graven images. We have covered some of their teachings in the past. On their webpage titled “Are Images Wrong?” they quote Hosea 10:1 “Israel is an empty vine, he bringeth forth fruit unto himself: according to the multitude of his fruit he hath increased the altars; according to the goodness of his land they have made goodly images.” They emphasize the word goodly for images as if this scripture is endorsing images. If we read on there was nothing “good” in the images. The use of the word “good” is not to be confused as approval from God. Hosea 10:2 “Their heart is divided; now shall they be found faulty: he shall break down their altars, he shall spoil their images.” Like those of the past, these are not fully committed to the Heavenly Father although they call themselves Israelites. Their mind is divided, between serving God and mammon. Ravenous, their instant gratification on the sale of graven images is what blinds them into thinking its good. 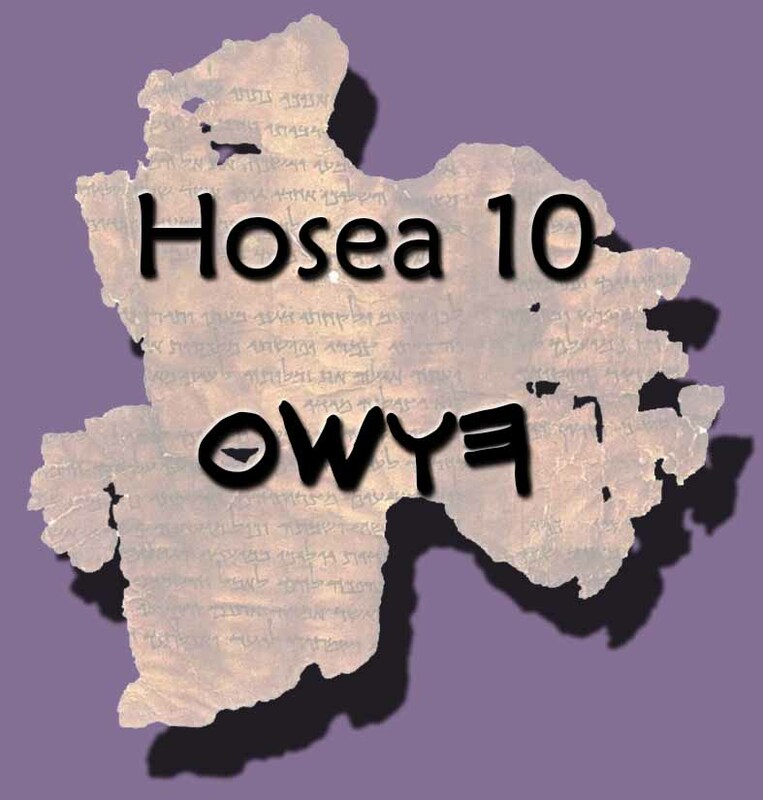 We have gotten very far in this book, to know that Hosea is talking about the whoredom of Israel in idolatry (false gods). We are divided as a people because of iniquity; we must choose whether we want to unite towards serving the most High or as Hosea will continue to reveal the graven images. Be not divided in your hearts Israel follow YHWH the only true God!